This is an amazing cover, isn't it? From the author of the Alexa Montgomery Saga, comes a book that will take you into the mind of a genuine psychopath, the lives of six ordinary people, and the world of a very special girl named Joe. Joe is seemingly an ordinary college student. She works, studies and reads. But in between these activities Joe has a gift that promises to add a dose of color to her life at any given moment. Joe sees things before they happen. Bad things and the worst thing she has ever faced are just around the corner. Someone is planning a massacre at the college university that Joe attends, and the only person with a hope of stopping the psychopath is her. Oh, the beauty of foresight. More like a curse. 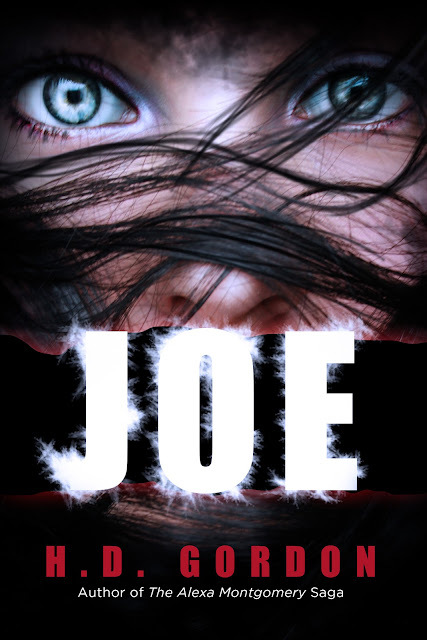 Joe has four days to figure out the mystery, make plans to take down the pyscho, and save the lives of people. People like you and me. Ordinary people. This book will be released June 30th. I can't wait. Maghon! Thanks for stopping by. I love this cover. I can't wait to read!